The gentle, intelligent and family-friendly Labrador Retriever from Canada continues to be the most popular breed in the United States, according to AKC registration statistics. This versatile hunting breed comes in ​three colors - yellow, black and chocolate - and because of their desire to please their master they excel as guide dogs for the blind, as part of search-and-rescue teams or in narcotics detection with law enforcement. 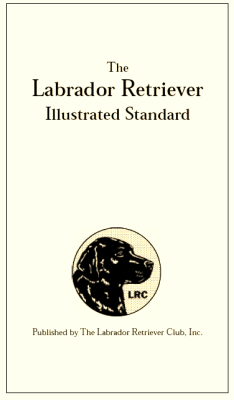 One of the striking characteristics of the Labrador Retriever is the breed's incredible versatility. Not only are these dogs versatile in the hunting world-working equally happily with pheasants or ducks, in dry uplands or frigid salt marshes-but they are also commonly used in service as seeing-eye, assistance and therapy dogs. Their size, strength and easygoing disposition make them highly dependable partners in a wide range of activities. Their keen noses, intense ability to focus, and willingness to please also make them popular choices for drug sniffing, mine detection, arson investigation (searching for the presence of accelerants) and search and rescue. In the competitive world, Labs will apply themselves with drive and enthusiasm in obedience, tracking, agility and field trial work. And, of course, Labs make great pets and companions.